Today, I want to share some valuable lessons, quotes and tips from the book Zero Resistance Selling by Maxwell Maltz, Dan Kennedy and several others. 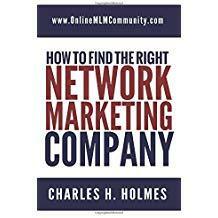 I believe this is a must-read book for any network marketer, entrepreneur or professional. Let’s face it, whether you realize it or not, you are in sales. Everyone is in sales. We all sell stuff every single day of our lives, even if we don’t realize it. Improving your salesmanship skills is one of the smartest things you can do if you want to take your career or business to the next level. Show me someone who can make the cash register ring consistently, and I will show you someone who never has to worry about getting laid off or going out of business. 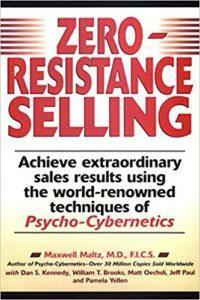 Zero Resistance Selling will teach you how to be a better salesperson and get less resistance while you do it! What you will see below are some of my favorite quotes from Zero Resistance Selling. They are listed by where I found them in the book. Enjoy. # 1 Avoidance of the possibilities of rejection and failure is the disease rampant in the ranks of sales professionals. # 2 These days, the most successful sales professionals learn very sophisticated strategies of prescreening and presorting prospects before meeting with them in person or getting on the telephone with them. # 3 Top sales professionals achieve and sustain peak mental, emotional and physical well-being. # 4 Every individual has seeds of greatness within, and desire to succeed, but every individual also comes to an organization with some baggage. # 5 You are paid to educate the customer, to develop and present the most persuasive case. The customer is not being paid to figure out why he or she should buy from you. # 6 If there were no questions to be answered, objections to overcome, or stalls to be conquered, you’d be driving a taxi cab for a living. If your clients sold themselves, why would your company need you? # 7 When your prospect views you as a cut above ordinary salespeople in your field, he is more likely to accept your recommendations, less likely to object, less likely to resist. # 8 Never make a claim you cannot support with proof. # 9 Most people have more talent and ability than they give themselves credit for. # 10 It’s my observation that just about everybody has leadership qualities waiting to be awakened. # 11 Your leadership role in network marketing can be summarized as installing belief. It is your job to install belief in that new person’s subconscious mind; belief in your products, opportunity, company and leadership. Of course, you must have it to give it. # 12 People naturally, automatically perk up when a story is told. # 13 If you aspire to the highest possible income in selling, seek out and associate with top money earners in selling. # 14 You must develop the ability to motivate yourself, to be your own counselor, coach, booster and disciplinarian. # 15 Focus entirely on what you can do; do not waste any mental energy on things you cannot control. # 16 Closing a sale is what ultimately separates professional salespeople from professional conversationalists. # 17 The Master Closer is confident and relaxed, and lets the conversation take its own course and move at its own pace. # 18 Selling is hard work. # 19 It is interesting to me that most salespeople want and expect to harvest a professional income from their career but rarely think about investing the kind of time, earnest study and money in their professional education as most other professionals must. # 20 You need to re-recruit yourself into your business every day! # 21 If every sales professional stayed home in bed for just one week, our entire economy would grind to a halt and society would be in chaos. # 22 The top salespeople are psychologists, confidants, consultants, product engineers, business advisors, family advisors, and creative forces. # 23 The best salespeople solve problems for their clients or customers. # 24 You simply cannot sustain any success that is outside the acceptance range of your self-image. # 25 Every action you choose either magnifies or reduces resistance. Overall, I give Zero Resistance Selling 4 of 5 stars. It’s a great book. It’s well written, easy to read and loaded with tons of great tips and strategies. I highly recommend it. This book was published in 1998 by Prentice Hall Books. It features 209-pages and comes in softcover format. You can order a copy on Amazon. In review, Zero Resistance Selling is a great book for any network marketer, entrepreneur or professional. No matter what you do for a living, you will excel your career if you can improve your salesmanship skills. This book will show you how to do that. On a side note, I would love to hear from you. What is your favorite quote listed above? If you’ve read the Zero Resistance Selling before, what do you think about it? Just leave a comment below to share your thoughts.